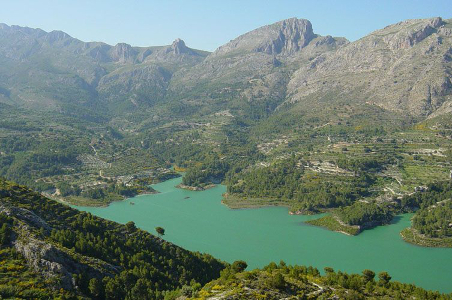 In the center of the Guadalest Valley, and the river that gives it its name, we find this ravine with abundant flow almost throughout the year, which will delight anyone interested in this sport. The ravine runs along the headwaters of the reservoir of the same name, passing through the town of L'Abdet. 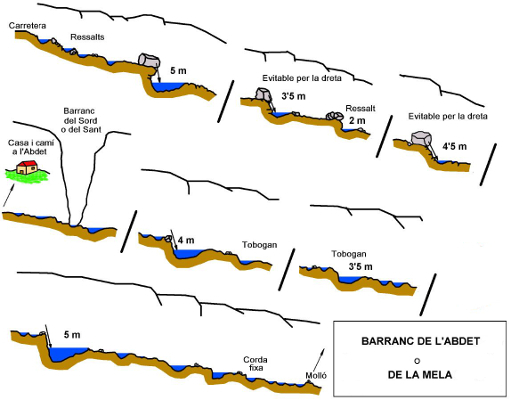 It can be considered a small natural wonder in the province of Alicante (pretty dry, especially in its southern half), what a luxury is to have a river that carries water throughout the year. It creates an vibrant ecosystem away from urban pressures and amidst the highest mountains in the province. It is a gift of nature, one of the water jewels of Alicante, and as such we should take care of it! It is necessary when we visit the area to enjoy its beautiful virtues and leave the smallest possible imprint in this magnificent place so that is can be enjoyed for many years to come. 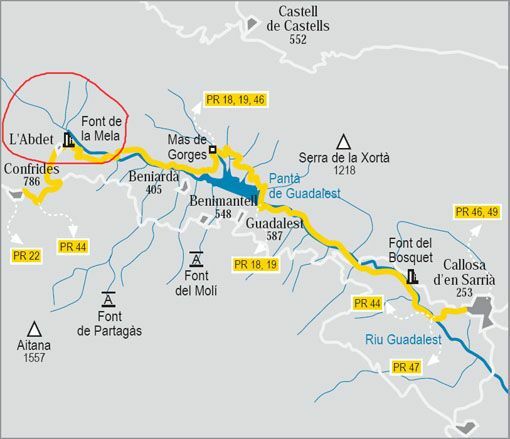 Access: From the town of L'Abdet, walk north, where we take an asphalted road up, which leads by fields of almond trees and several terraces, until we come across the River in about 10 minutes. 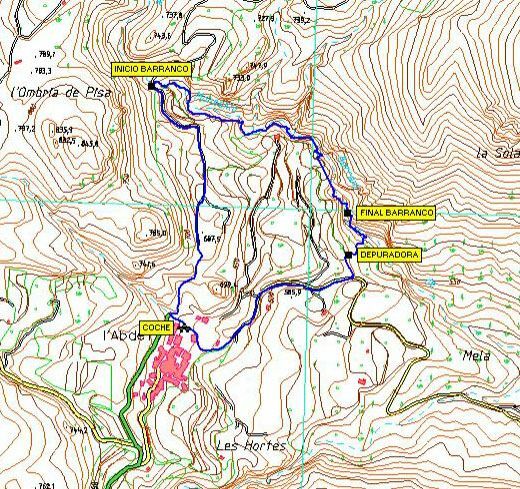 Route description: We go down the river , dodging the various jumps and abseiling down into the pools that have a good depth. A house on the right side marks the middle of the route. At the end of the difficulties, the river widens and opens up where we find the exit on the right. Time: 2 h.